The past couple of days have been cool and rainy and it has put me in an Autumn mood! 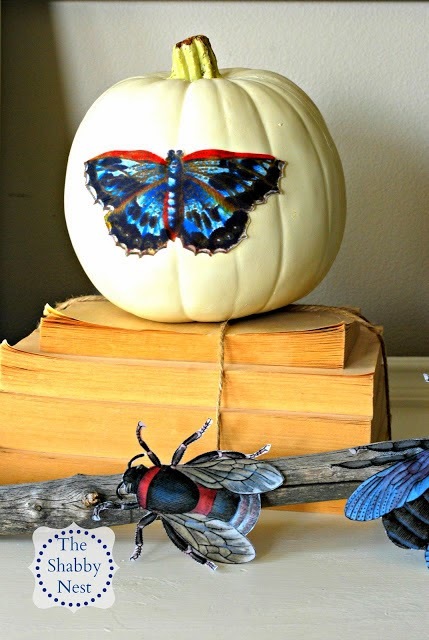 So today I thought it would be fun to share a few easy-peasy pumpkin projects that are sure to bring that Fall feeling into your home. 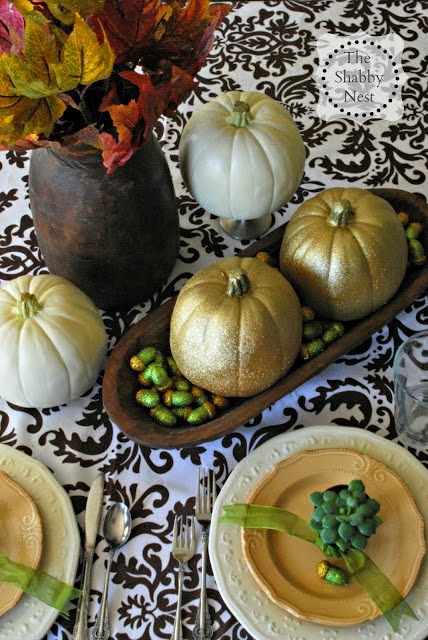 First, a couple of years ago I shared a pretty Autumn tablescape idea that featured glittered pumpkins. They were adorable! And they couldn't be any easier to make. If you want to make some for your own fall decor, you can follow my instructions on how to make them here. Next, if you want a simple and elegant pumpkin, try your hand at this pretty, embellished version. You can find the instructions for it here. What could be simpler (or prettier) than filling a planter box with petite pumpkins and surrounding them with hydrangea. Autumnal beauty at it's finest. Check out how I created these pretty planters here.